We're back with a recap of the hottest songs this year (2014), all in one 4-minute a cappella medley! The songs were chosen based on their peak date on the Billboard Hot 100. Thank you so much to all my friends (Jaron, Kunwoo, Grant, Freshta, and Maria) for singing with me. Everything turned out AMAZING and it was all because of you guys! UC Berkeley a cappella alumni unite! Happy holidays to all and cheers to new beginnings next year! Before looking below, see if you can name all the songs used in this medley (23 in total)! We're back! 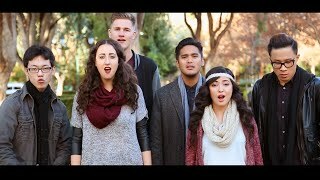 A recap of the hottest songs this past year, all in one 4-minute a cappella medley. The songs were chosen based on their peak date on the Billboard Hot 100. Download Top Songs of 2013 - A Cappella Medley/Mashup (Recap of the Billboard Hot 100) video and mp3 music songs.